Hager, who has led the Black Sticks through their most successful period during his 10 years at the helm, will start his new role immediately. Black Sticks Assistant Coach Sean Dancer will become Acting Head Coach and will continue to prepare the team for the FIH Pro League which starts in just over two weeks. With the team environment currently the subject of an independent review, Hockey NZ Acting Board Chair Shane Collins emphasised that Hager was leaving on his own terms. The review was launched in September, after allegations of a negative team environment emerged. Hager, a former Australian international, accidentally sent an email to the entire team, naming and shaming individual players for their performance and effort, after finishing 11th at the women's World Cup. Three months earlier, they had won gold at the Commonwealth Games. The findings are expected later this month. 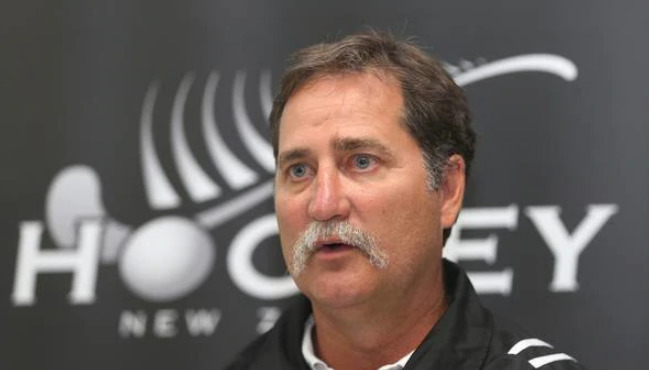 Hockey New Zealand Chief Executive Ian Francis says Hager has been an outstanding coach who has taken the performance of the Black Sticks women's team to unprecedented levels of success. "When Mark took the reins in 2009 we were well and truly outside the world's top 10 countries. Since then he has taken this team to two Olympic fourths, two World League finals, a Champions Trophy bronze, and a medal of every colour at the Commonwealth Games. "We have been ranked as high as third in the world and have never been outside the top six. These are by far the best results in the history of our women's game." Hager, a former Australian international, says it is sad to leave a team that he regards as his whanau. "The team has the potential to succeed in Tokyo and I wish them well. I have been torn over the last six months, firstly whether to apply for the England/Great Britain role and then whether to accept it. "But given its profile as one of the pinnacle coaching roles in world hockey I have come to realise it is in my best interests and those of the Black Sticks to accept this opportunity and for someone else to lead this talented group of athletes through to Tokyo," says Hager. Hager says he has taken on board some feedback during the review period about his coaching style but will retain the essence of what has worked so successfully over the last decade in taking and keeping the team in the world's top five. Black Sticks captain Stacey Michelsen says Hager has a huge passion for the team. "Mark has been an integral part of allowing this team to grow to our highest ranking of third in the world. Personally he has provided me with the environment and the guidance to develop into the player I am today, and I am very grateful for that", says Michelsen. "I am very sad to see Mark go but I do understand his decision and wish him all the best in his new role." The Hockey NZ Board this week received a copy of the independent review of the Blacks Sticks Women's team environment undertaken by employment lawyer Maria Dew. Collins says the Board is currently working through the review's recommendations and is accordingly developing key actions which will be shared with management and the NZ Hockey Players' Association. Once finalised Hockey NZ will release a summary of the review and the corresponding action plan. This is expected to occur later this month.